Making it the second Nigerian UK base to win the voice UK, 18 years old Ruti Olajugbagbe made us proud of our citizens out there. And you know what? It's in a row, last year and this year it has been a Nigerian. Amazing! Nigerians fit and actually excel in very many of there endeavours, even - some say mostly - outside the Nigeria border. Here it is again as the voice UK has another Nigerian emerge the winner. The voice UK is a British talent show which began airing in March 2012, making this year the seventh since it came on board. 18-year-old Ruti Olajugbagbe has passed and emerged the winner of the show's five stages (producers' auditions, blind auditions, battle phase, knockouts, and live shows), making her the second Nigerian after 21-year-old British-Nigerian Mo Adeniran who won last year. The winner miss Olajugbagbe gets to go away with £100,000 (N44.5b), much reason why she was dumbfounded and broke into tears when the host Emma Willis announced her as the 2018 winner. 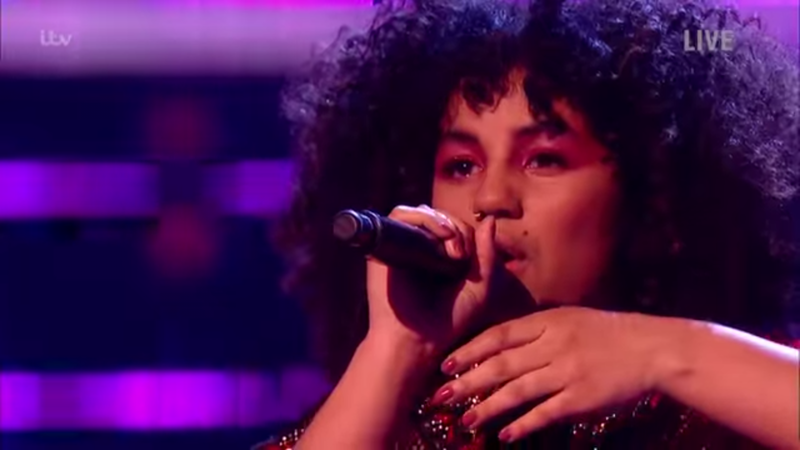 She later expressed her feelings and said “I wasn’t expecting this… I didn’t expect to get to the blind audition, I don’t know what to say!” also to her supporters: “What is going on? Thank you to everyone who voted! My cover of dreams is out now". We are happy for you too Ruti. God bless your new win. God bless the voice UK. God bless Nigeria.